Scotts Travel: 5 Facts about the Battle of the Somme and why a trip to the war graves can be a deeply moving experience. 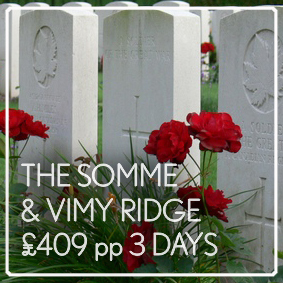 5 Facts about the Battle of the Somme and why a trip to the war graves can be a deeply moving experience. 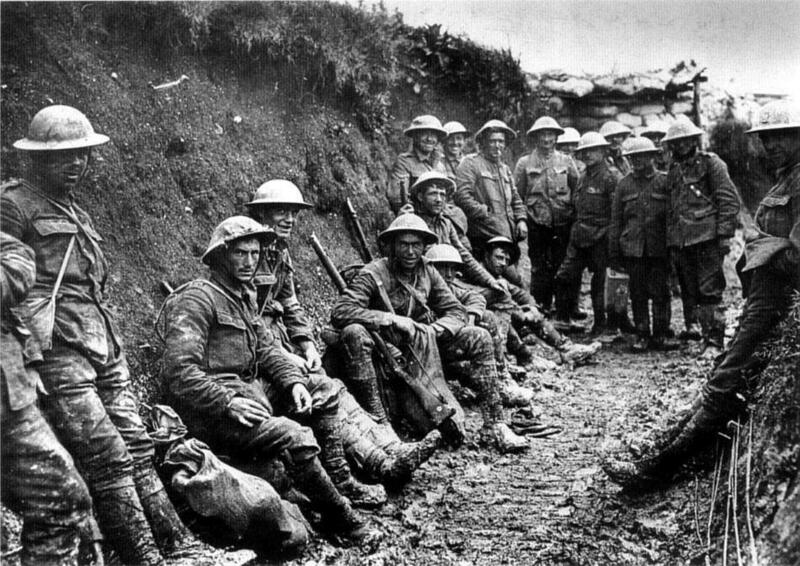 This years sees the centenary of The Battle of the Somme, one of the largest battles that occurred during World War I. It took place near the Somme River in France and lasted from July 1 to November 18 in 1916. Before the actual attack, the Allies (the British and the French) began by bombarding the German lines. However, the Germans were warned of the bombardment they took shelter and waited, little real damage was done to the German fortifications. The Allied commanders refused to take warning that the bombardment didn't work and after eight days, on July 1, 1916, they ordered the attack. Thousands of British soldiers got out of their trenches and began to advance on the German lines. They were easily gunned down by the Germans. It was the worst day in the history of British warfare. They suffered around 60,000 casualties including 20,000 dead on that first day of battle. Despite the heavy casualties, the Allies continued to attack. They didn't let up on the attack until November 18. During that time they gained around seven miles of territory, but suffered around 623,000 casualties including 423,000 British and 200,000 French. The Germans had around 500,000 casualties. With over 1,000,000 total casualties on each side, the Battle of the Somme was one of the bloodiest battles in human history. 1 Sadly, because many men from the same town were grouped together in the British Pal's battalions, when a battalion was wiped out, often this meant that all the men from a given town in Britain were killed. 2 The first tanks to engage in battle were at the Battle of the Somme. 3 The British commanders were so confident the German defences were destroyed that they loaded down the attacking soldiers with supplies and ordered them to walk. These soldiers were quickly gunned down. 4 The Allies lost around 89,000 men per mile of territory gained. 5 The attack ended in November mostly due to heavy snow in the region. “It was a sobering experience. 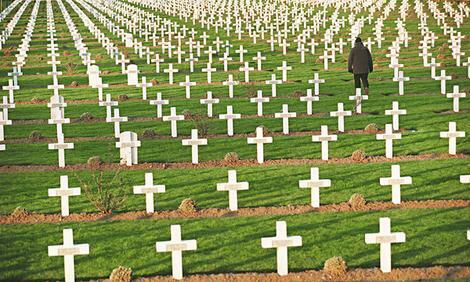 Whether you have a loved one buried there, which in my case was my grandfather, or someone remembered on one of the many memorial sites, you cannot help but be moved to tears by the number of men of all ages that died for their countries in the first world war. Experience the WW1 Battlefields tour with Back - Roads, winner of the 2015 Best Travel Awards for Best Small Coach company. Back-Roads have been operating WWI and WWII tours in Western Europe for over 20 years. Led by expert battlefield tour leaders and operating with small groups only, their tours offer a truly personal experience. Their tours offer the flexibility to include visits to specific cemeteries, not listed on the itinerary, for those looking to pay their respects to a fallen relative or family friend. They consider it their privilege to be able to join guests for the often moving experience of visiting the grave of a relative or walking in their footsteps along the front. This tour commences from Lille Europe Station, The Meeting Point, Gare de Lille-Europe, 59800, Lille at 8.30am. Please ensure you are at the 'Meeting Point', which you'll find in Hall 2, at least 15 minutes prior to departure. The tour finishes at 6.00pm at Lille Europe Station, The Meeting Point, Gare de Lille-Europe, 59800, Lille.